1Heat oven to 425 degrees. 2Line two cookie sheets with aluminum foil. 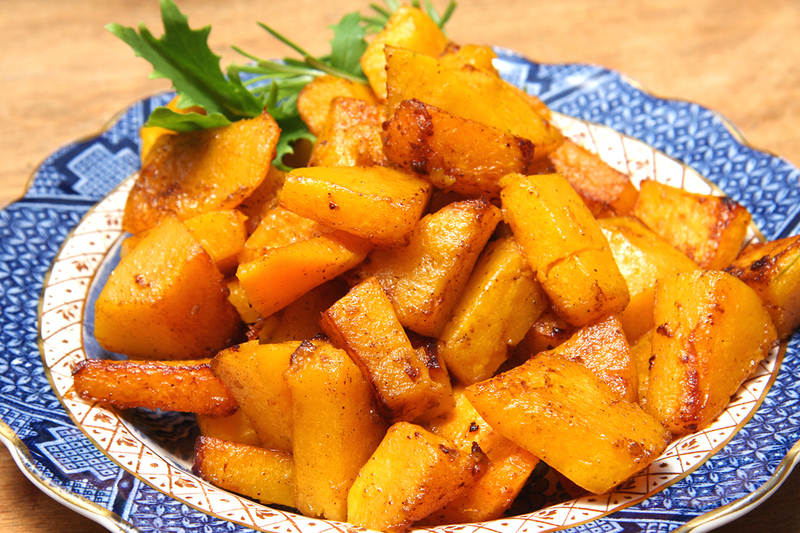 3In a large bowl, combine olive oil, 2 Tablespoons of KISS (reserve half), salt and pepper until each piece of squash is fully-coated. 4Spread evenly on both trays and roast for 40 – 45 minutes, until fork tender. 5Remove from oven, transfer to serving dish, and drizzle the remaining KISS over the roasted pieces. This was a fantastic recipe! Cooked it tonight for dinner and it was a huge hit! !